Why is there no Auto Brightness Adjustment on US Carrier models? (Auto +1 etc) Let's take action. I don't understand why Samsung devices have systematically seen this option removed on US carrier models since the S4 or even earlier. It doesn't make any sense. Especially given the dim screens of previous Samsung products, "Auto +1, +2, or +3" makes tremendous sense for those keeping them on Auto all the time. My HTC One was literally twice as bright as my S4 when both set to Auto and that noticeably negatively impacted my everyday viewing experience. I propose we make this issue known to US carriers. If enough of us complain, we CAN get this added back in. I talked to both Sprint and Samsung yesterday. Samsung said it was a carrier choice. The Sprint CS rep agreed with me that this should be in, and forwarded my issue to the tech team, who are now hopefully aware of this. I haven't gotten around to calling them yet but I will. Any reasonable explanation for why this was removed? I would suggest that "Reasonable US carrier" is an oxymoron. jimd1050 and kittenphelia like this. Unless of corse the brightness is no different for you guys. I gave up on auto brightness a long time ago when I found this app. I control the brightness by simply sliding my finger on the edge of the screen no matter what app I'm using (games, movies, YouTube, home screens, etc) - it's always just right there, hidden and waiting. It even supports negative brightness now, great for the times at night when there are no lights on in the house or you are at the movies and the lowest brightness setting just isn't low enough. Screen blinding you? Just slide your finger. Suggest you simply get Lux in the Google Play Store. NOTE 4,, GO BIG OR GO HOME! That's what I wondered at first. I believe he is looking for AUTO *and* being able to bias that by +1 or +3 etc. These are things Lux lets you do. Easier, in my book, to grab an app that does what you need than protest and complain to carriers. My brightness stays maxed out and still get 15-17 hours of heavy use. Just used to a brighter screen even in darkness. MightyMike and dpham00 like this. I would suggest that "Resonable US carrier" is an oxymoron. Like the Company I was employed by for 25 years, their product sold on "Name Identity" and therefore, they figured they could decide what the customer wanted and needed, not the customer! Not so any more... LISTEN TO YOUR CUSTOMERS or they'll go somewhere else! Will Lux allow the supper bright mode in direct sunlight like when auto is selected in Stock control? No unfortunately you would have to be in auto brightness. Posted via my beautiful beast, the Galaxy Note 4. According to XDA, it's literally one line of code that's easily enabled if you're rooted. Nope. It's good but not really alllllll that and doesn't replace auto very well imo. That and there are questoins about whether it'll work when moving to 5.0. Run the Display Brightness app to configure it. 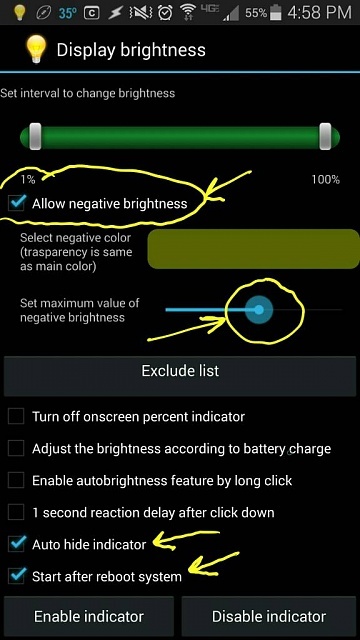 - checkmark "Enable Negative Brightness"
- checkmark "Stay after reboot system"
There will be a hidden bar on the right side of the screen near the top but not all the way at the top. Slide your finger along the edge off the screen until you find it. Then slide your finger up/down to set the brightness level. I have it on my rooted Verizon Note 4 DE using Xposed and Wanam's Module. Wanam's Module gives you a lot more also. I have used Lux and think it is a very good app...just more then I need when I have the Wanam's Module installed. I almost always set the auto brightness to -1 or -2...but in bright sun might use +1 or +2. 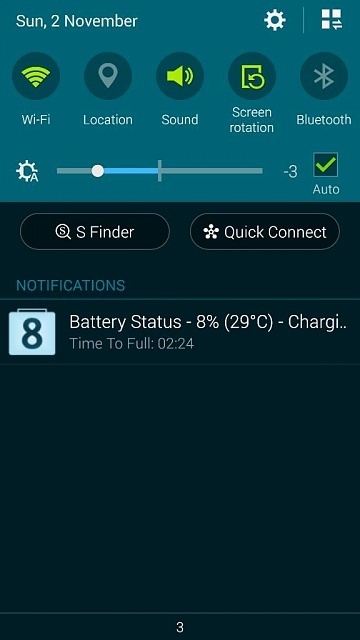 It really would be nice if this was enabled by default on the Note 4. The Verizon Note 4 DE was bought direct from Samsung. Well, that eliminates my desire for the app then. I spend a good bit of time in the sun. Love the way it kicks in this supper bright mode. 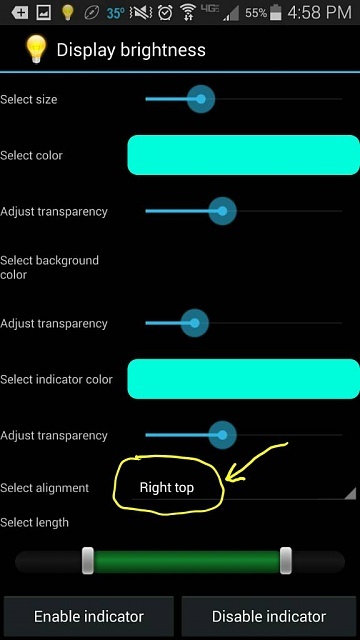 My Verizon LG G2 had an auto brightness bias adjustment. It really annoys me that Verizon disabled it on the Note 4. Why is Lollipop so ugly? My Alcatel one touch pop c3 Phone stuck at boot, is there any recovery mode possible? How do I change the Server password on my Note 2 if it won't allow me to reset the password?